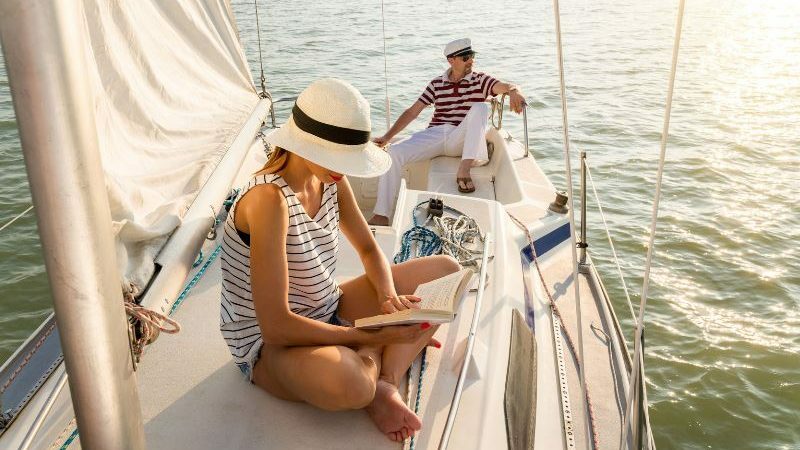 As we approach the summer season, we’ve been trying to keep you abreast of what’s new and exciting across our flotillas. 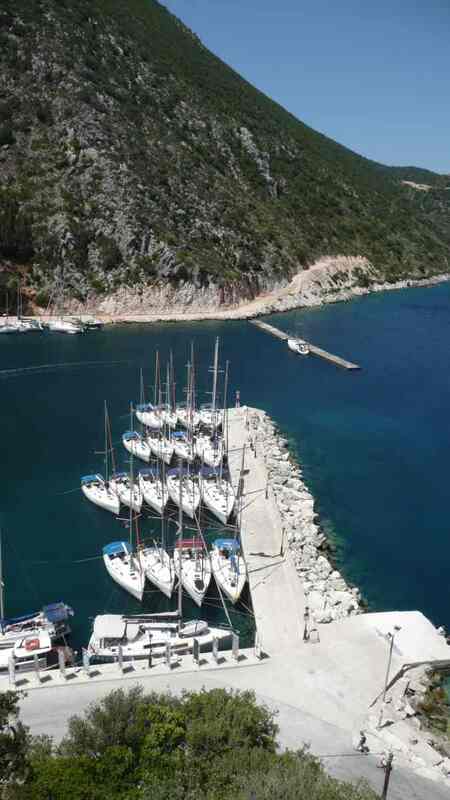 We have previously visited the Dalmatian Islands, The Lefkas Flotilla, The Sporades & The French Riviera. 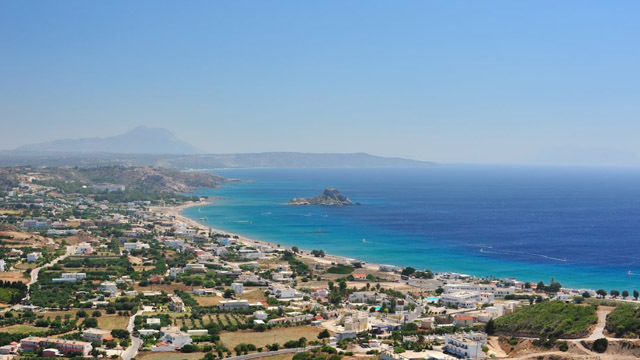 So this week, we take a virtual trip to Kos and the Dodecanese Islands. 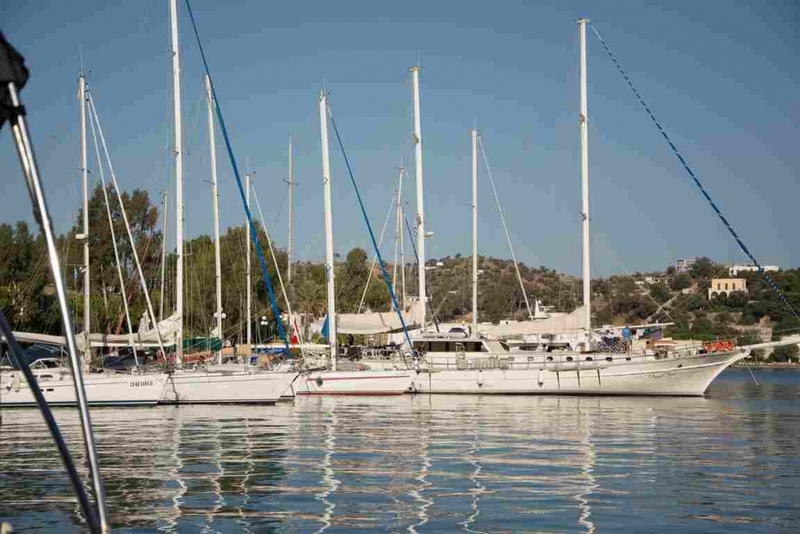 The Dodecanese has been a favourite sailing area of ours for quite a few years now as it allows us to run a flotilla with a bit more “real sailing” as well as all the usual Greek favourites. 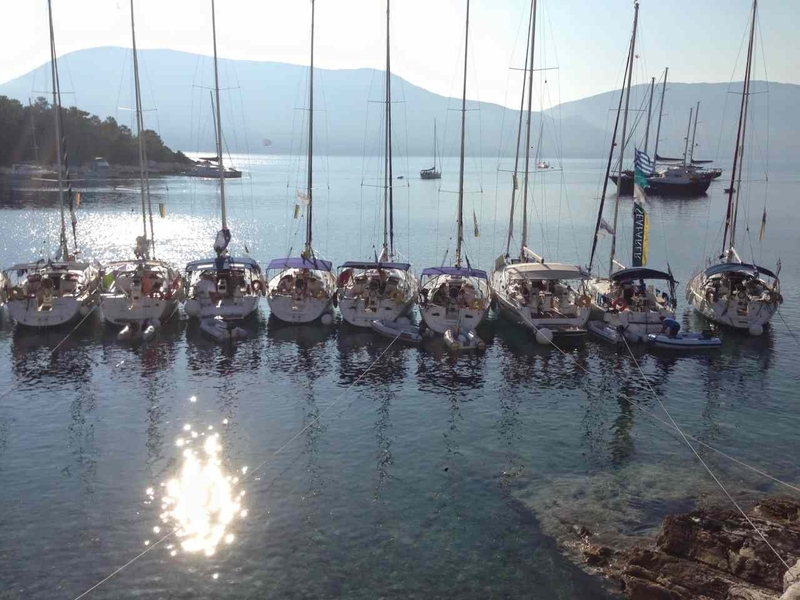 We very much see this flotilla as the one to which you graduate after cutting your teeth in The Ionian. 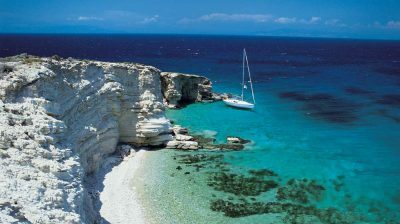 We fly to Kos, which is a great holiday destination in itself before you even consider it as a gorgeous sailing spot. 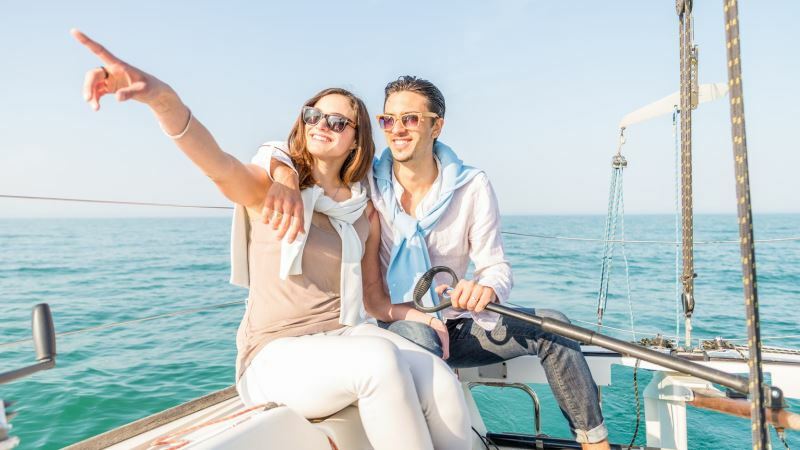 We get it, family or group holidays are a bit of a compromise operation and not everyone is a sailor… So, we’ve really raised our game when it comes to on-land excursions, trips and activities that don’t involve sailing! 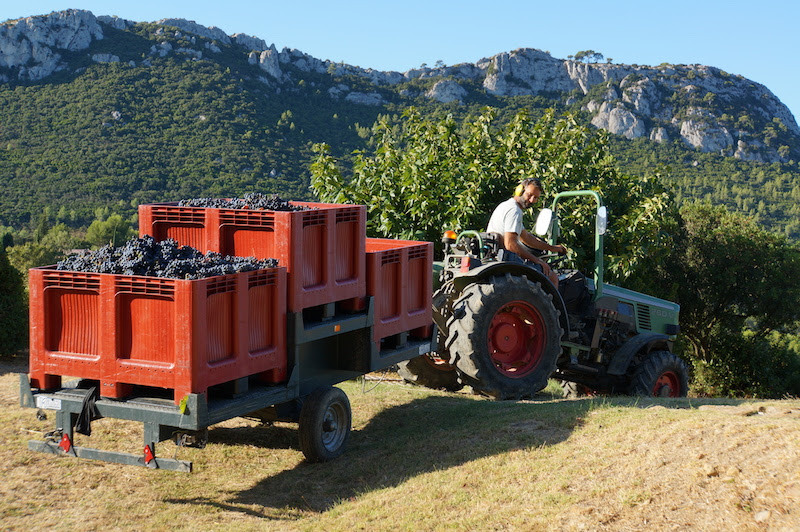 Without wishing to sound too Brexit-y on today of all days, but these land-based activities should help you build a consensus around your European adventure! 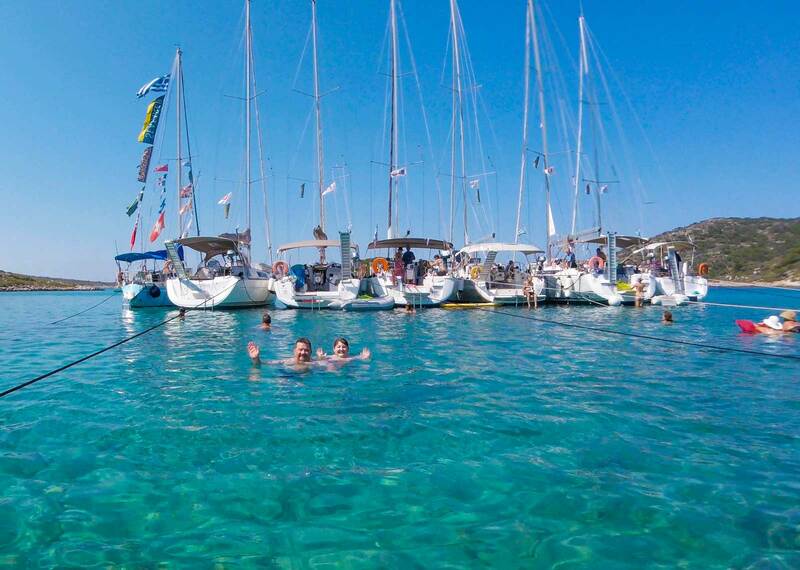 We’ve teamed up with Kefalos Beach Club to give you a proper option to extend your stay in the Dodecanese after a week on flotilla. 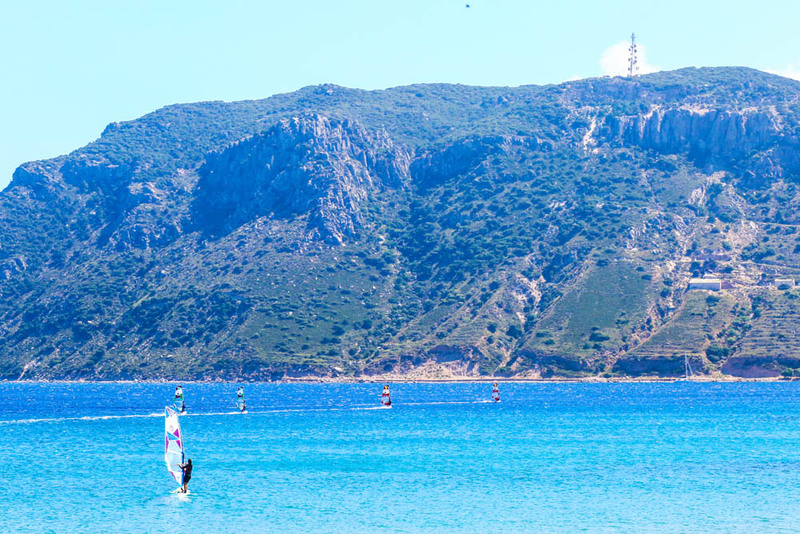 Kefalos Beach Club offers state of the art windsurfing in idyllic conditions as well as SUP’s kayaks and a small selection of dinghies. 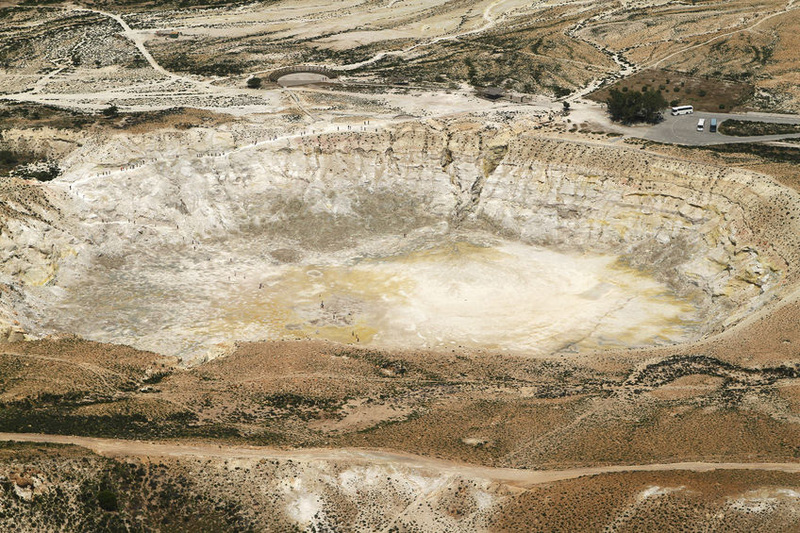 Take a trip to Stefanos Crater and the Volcanological museum in the village of Nikia on the volcanic island of Nysiros. While there hasn’t been an eruption since the 1880s. You can see the steam puffs and hear a crackle as you walk across the surface. 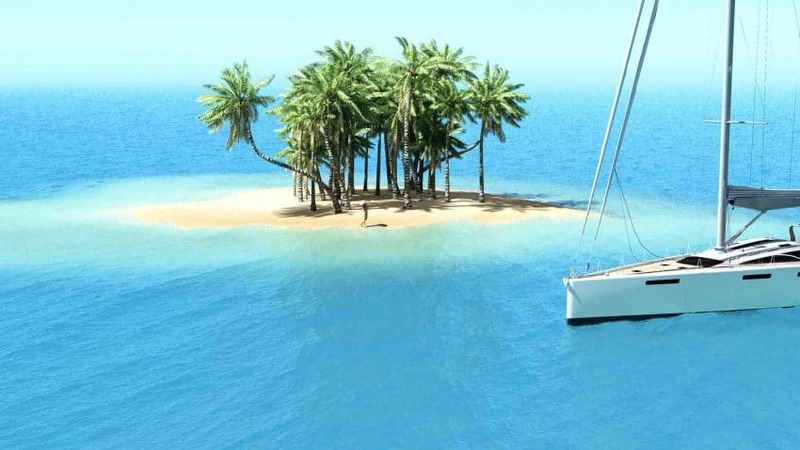 Best leave the flip-flops on the boat! 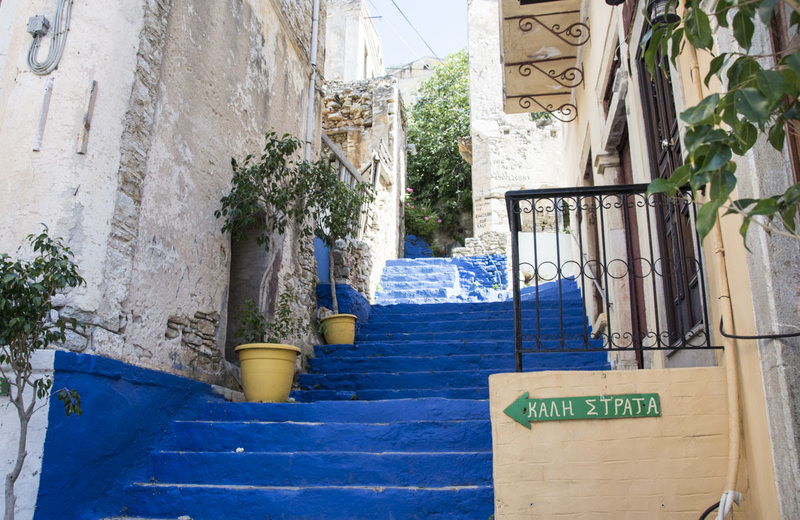 Known as the island of colours, we suggest taking the 500-step meandering walk to the top where you will get a spectacular view of the island and the harbour. We recommend heading to the chapel of The Virgin Mary of the Castle, the highest point with the best views. 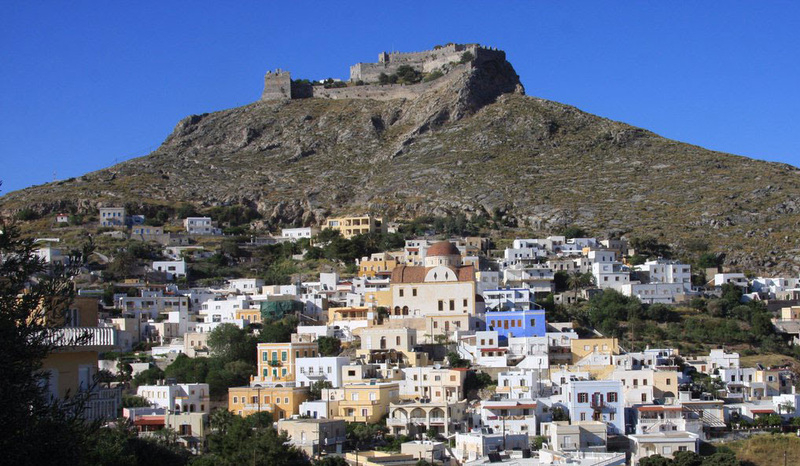 A visit to the Byzantine castle of Panteli will reward you with spectacular views of the Aegean. 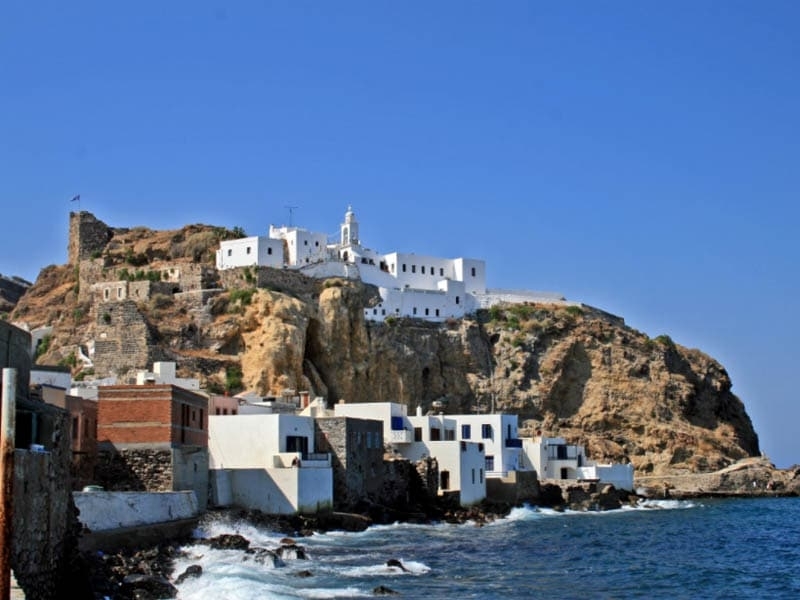 For the divers amongst you, Leros is noted for its numerous wrecks, ships and aircraft from the 1943 battle for Leros. 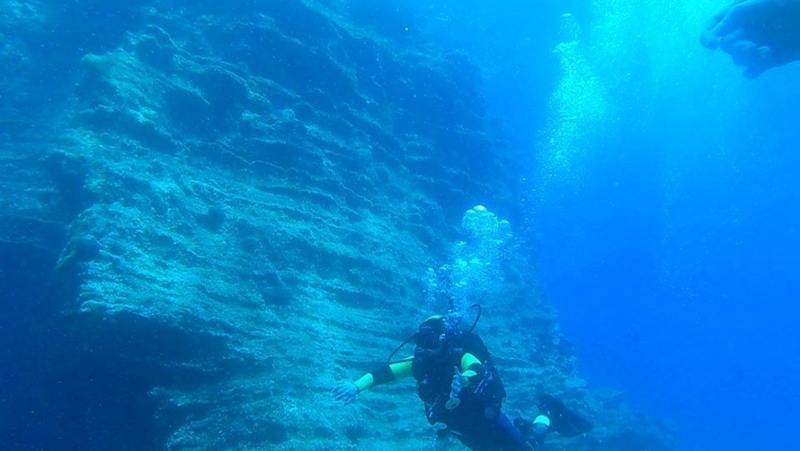 We can organise a wreck dive with our excellent local scuba diving partner. 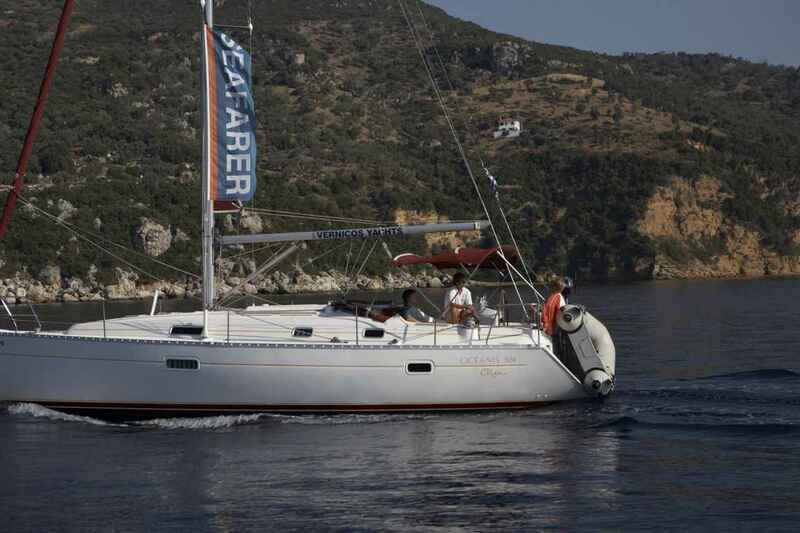 In addition to all those options, we can point you in the right direction for your ‘free sailing’ days. 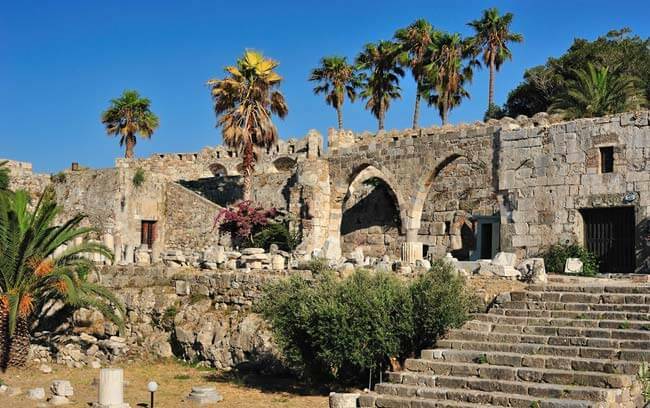 In particular, we suggest you venture to the stunning island of Patmos and the monastery of St John the divine where he is reputed to have lived and written the book of revelation. For anyone looking for an active day trip, we recommend a rock climbing trip on the island of Kalymnos which is very exciting. For those not looking to work up a sweat, why not take a trip to the local museum which looks into the island’s history of sponge divers. 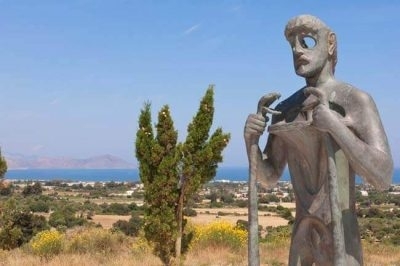 Our start and finish point of Kos is of course famous as the island of Hippocrates the ancient Greek father of modern medicine. 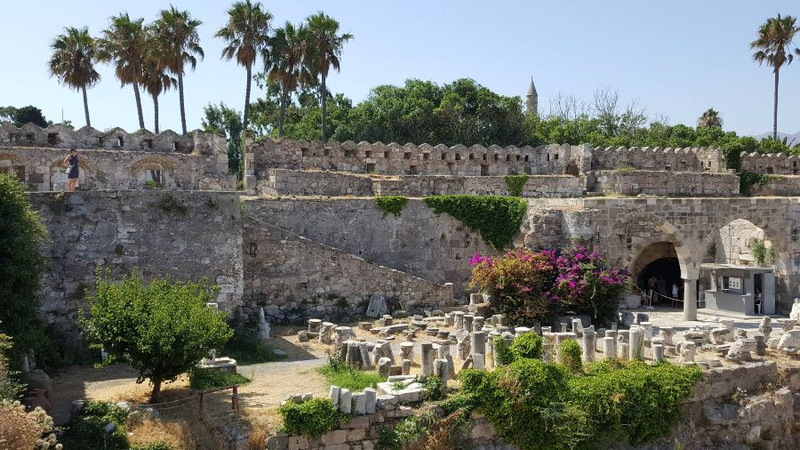 The extensive ruins of the Asklepieion are fascinating for all, but especially those from the medical profession. There is also an interesting museum on the site and our lead crew will organise a visit for all those interested. 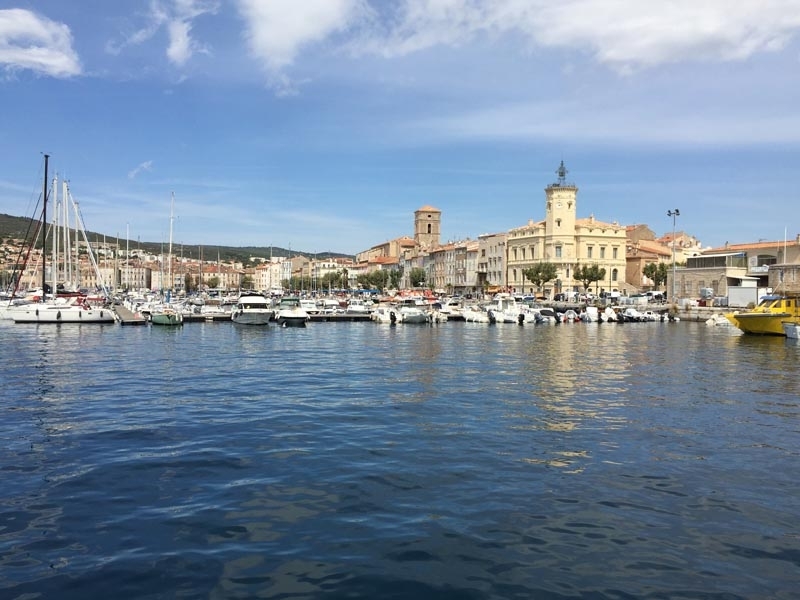 With great sailing winds, an excellent fleet and so much to see and do, we think we’ve got a great balance here for keen sailors as well as culture vultures. You may remember a couple of months back we sent a survey asking where you’d like to see us launch a winter flotilla. Well, we read your replies and we’ve decided to test the waters (literally!) 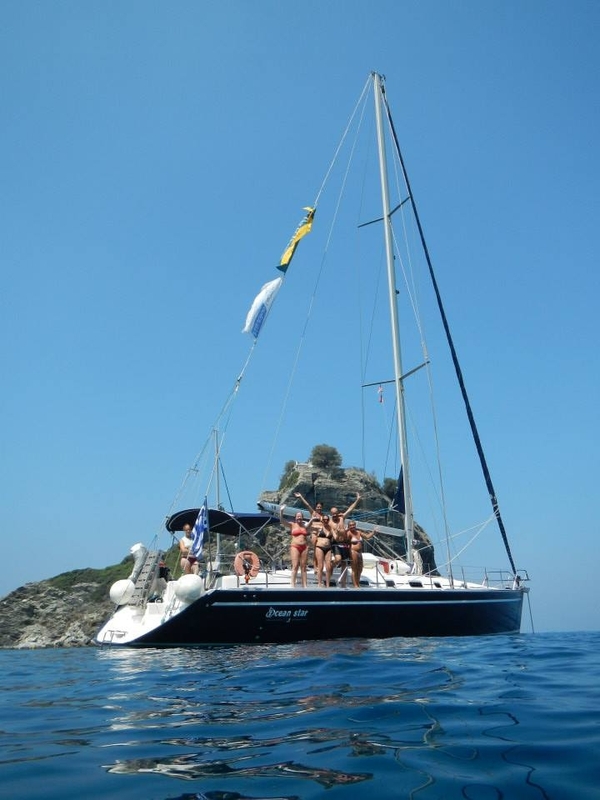 on a new winter flotilla in Thailand this June! (Yes, we are aware that June isn’t Winter…). 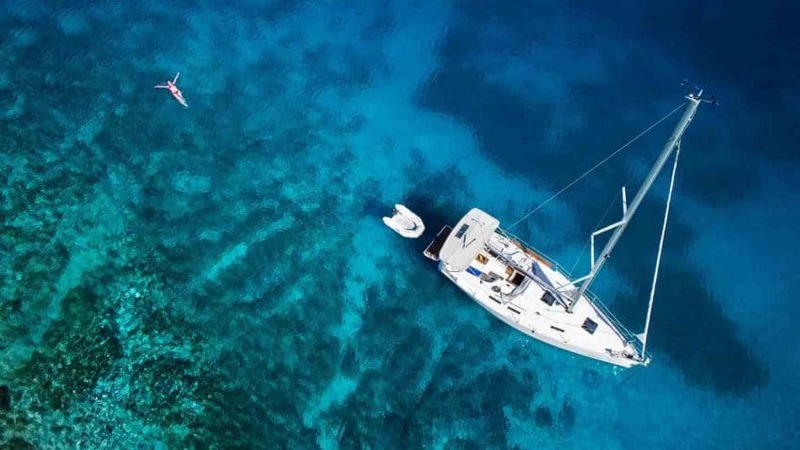 This June, we’re running a mini-flotilla in the beautiful Phi Phi Islands. 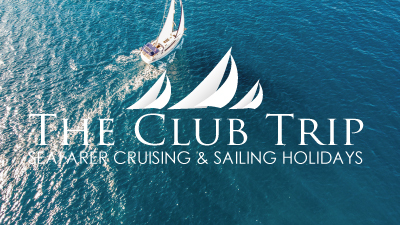 We have of course been promoting bareboat and cabin charter holidays here for years and our long-standing, local, trusted partner in Phuket will have one of their experienced skippers on the lead boat for that outstanding local knowledge, Also on board will be a trusted member of the Seafarer family, to keep things how you like them! We already love it, so if you love it too, this trip will become a permanent fixture. 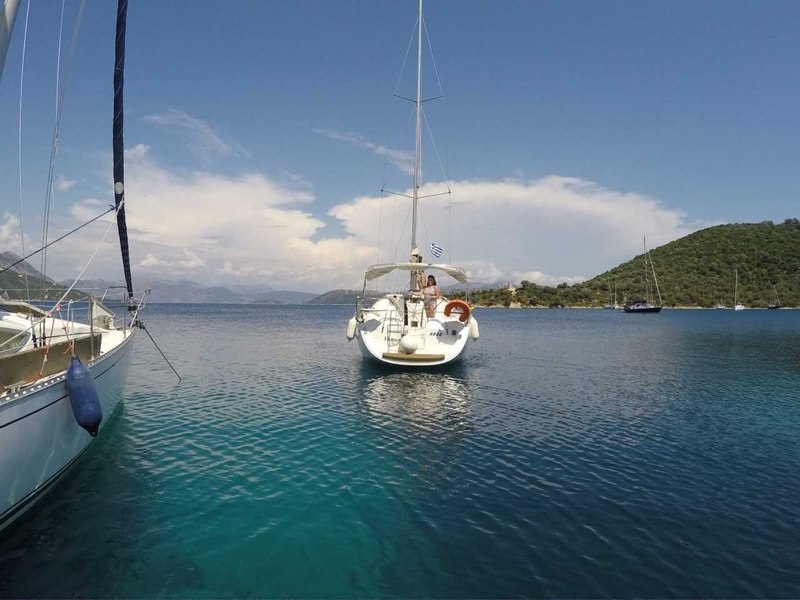 Similar to our Peloponnese flotilla, this is part of a series of “pilot episode” flotillas. Be adventurous, be a Seafarer, join us! 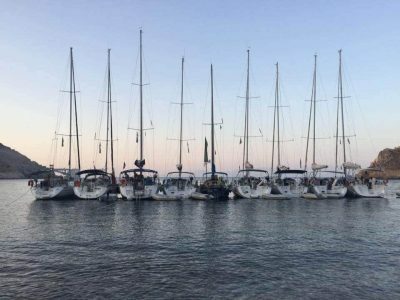 We are calling this one the Phuket Rally, as it is smaller than a flotilla and will also be a cabin charter trip sailing Thailand’s wonderful Phi Phi islands. Phuket is an Island located in the southwest of Thailand in the Andaman Sea and is considered as the centre of one of the world’s most beautiful sailing areas. 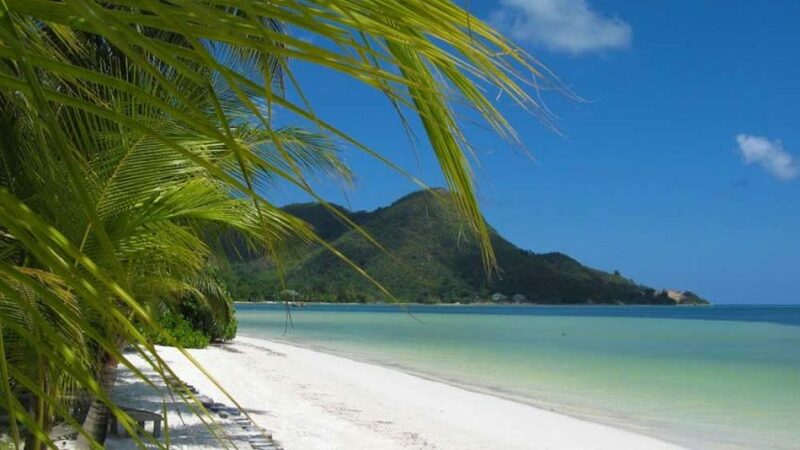 The area boasts hundreds of idyllic islands, countless secluded beaches and all in lush tropical surroundings. 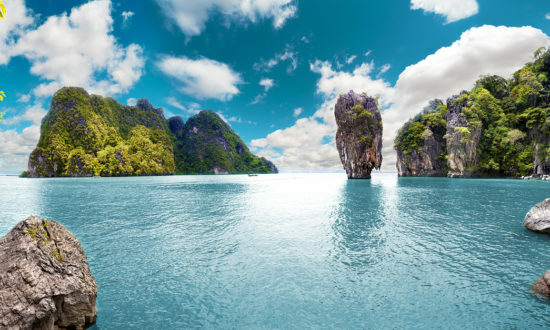 The spectacular Phang Nga Bay with its amazing limestone pinnacles made famous through the James Bond film, is just one amongst countless iconic sights we will explore on this amazing trip. The lead yacht will be a large one with en suite cabins, so for those that don’t want to charter an entire yacht, you can book by the cabin. The support and camaraderie you have come to expect on a Seafarer flotilla will be there with daily briefings and some group meals as well visits to points of interest. 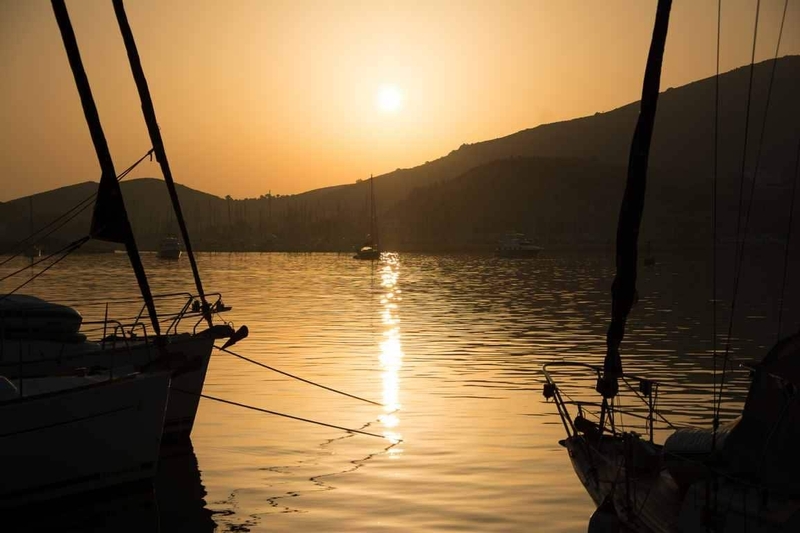 The area features stunning anchorages suitable for overnight stays as there are very few harbours and marinas, whilst charming villages offer unique lunchtime stops. 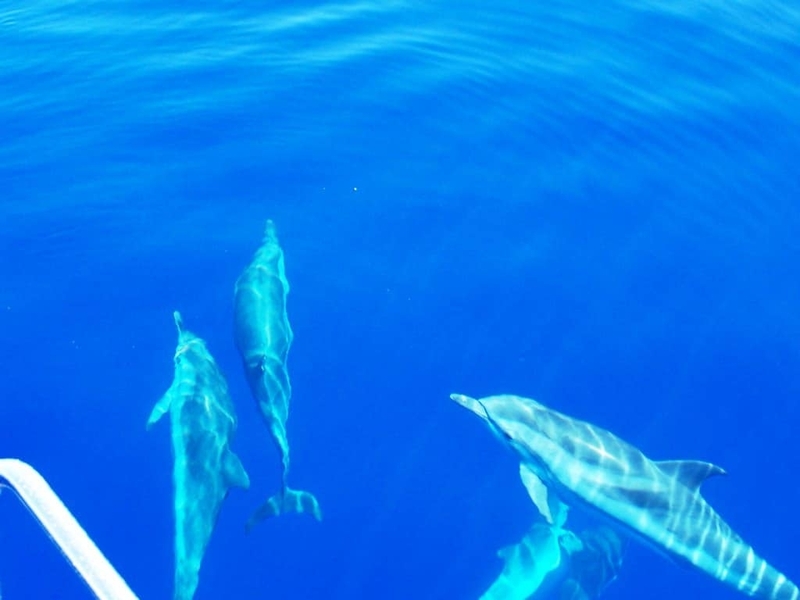 Many of the islands in this region are ringed with dazzling coral reefs so rich in marine life that you’ll be tempted to spend much of your time in the water rather than on it. 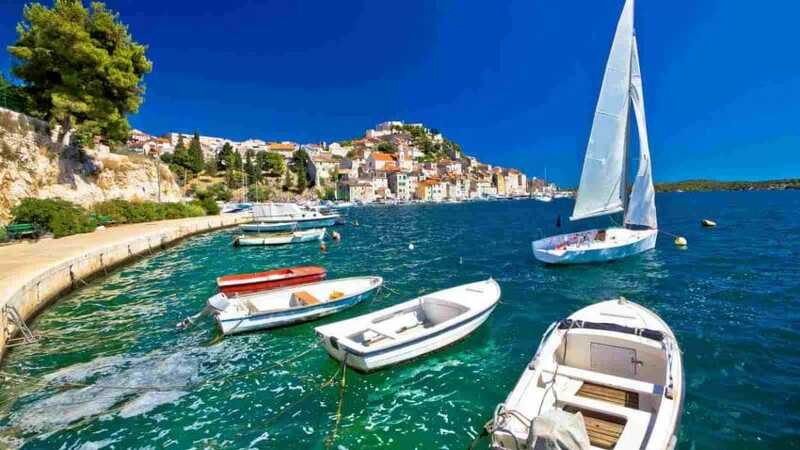 All in all it’s a great mix of natural beauty, history and culture plus some great sailing as the icing on the cake! Day 1: The journey from the airport will give you your first glimpse of the lush Thai vegetation, Buddhist temples, and picturesque villages. Day 2: After breakfast and the welcome briefing, we set sail to Koh Hong. This amazing site is only accessible by tender through a cave leading you to a lake surrounded by 100m cliff. Lunch at anchor. Day 3: Depart to Koh Khai Nai, better known as “James Bond Island,” where the movie “The Man With the Golden Gun,” was filmed. Stop at Koh Panyi, a floating village where hundreds of fishermen live. The obvious thing to do is shop for fresh seafood for a fresh seafood feast on board. 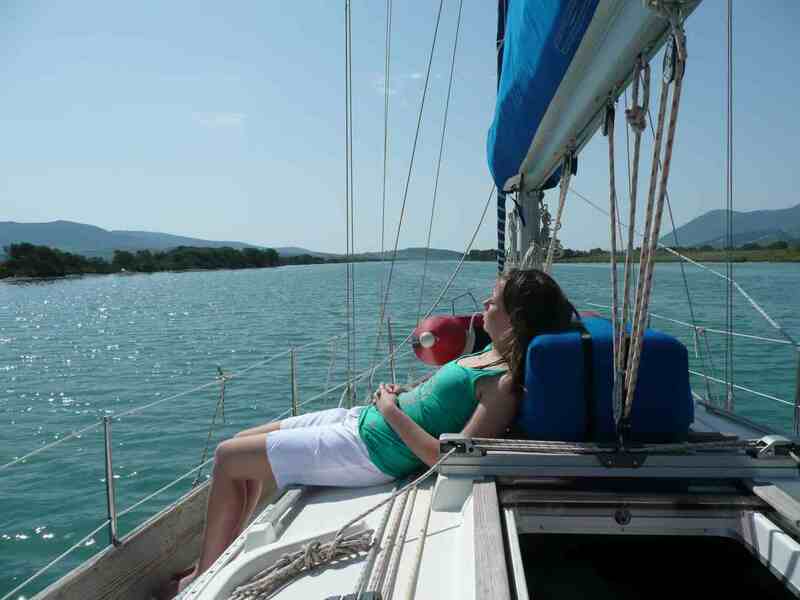 Day 4: After breakfast, we sail for Koh Hong East and visit the spectacular lagoon. There is time for lunch then onwards to Koh Dam Kai, stopping at Ao Nang. 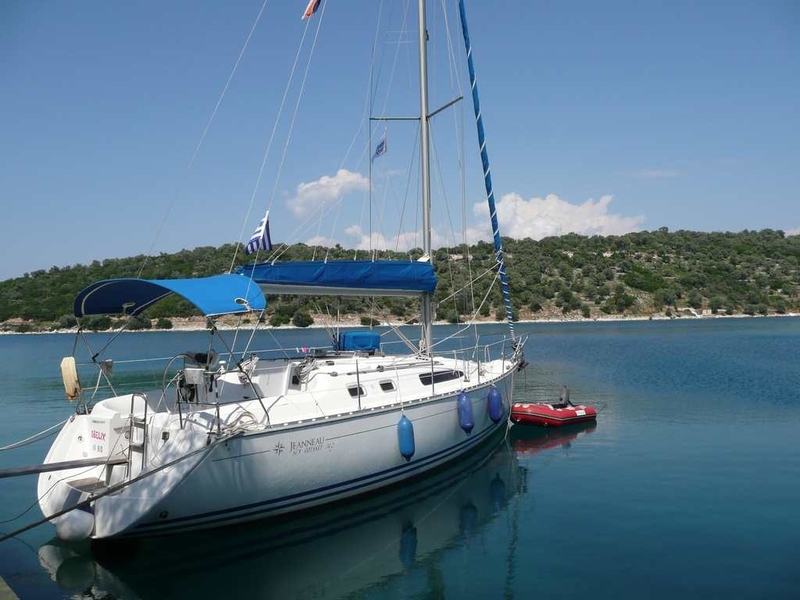 We drop anchor in the sheltered bay and recommend dinner on board. Day 5: Next we sail for famous Koh Phi Phi with a stop for lunch at Koh Mai Pai, a beautiful sandy beach with coral, fish, and crystal clear waters, perfect for divers and snorkelers. 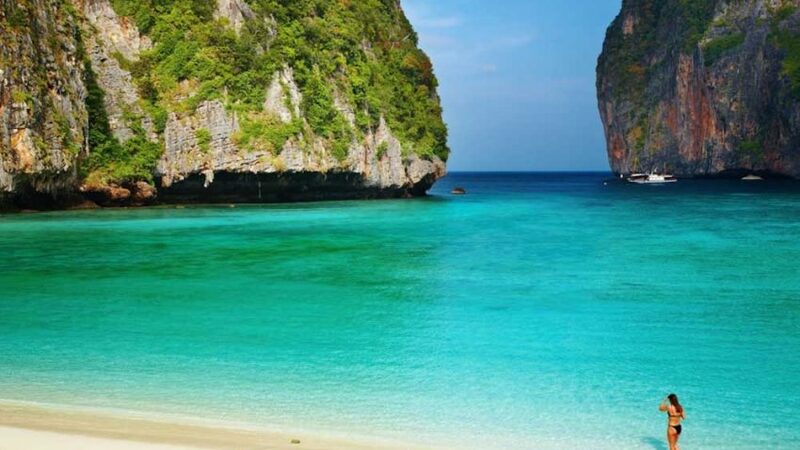 After lunch, we head to Koh Phi Phi Don, considered one of the most beautiful beaches ever, we also visit Yongsakem Bay (also known as Monkey Bay). 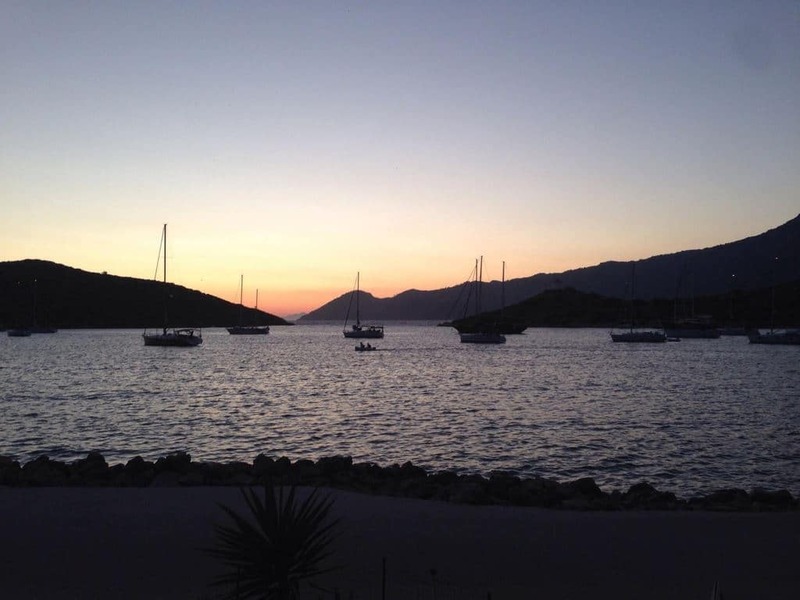 Nui Bay for amazing sunset views is a must before, dinner, and overnight in this peaceful anchorage. Day 6: An early start today as we sail for Koh Phi Phi Ley. 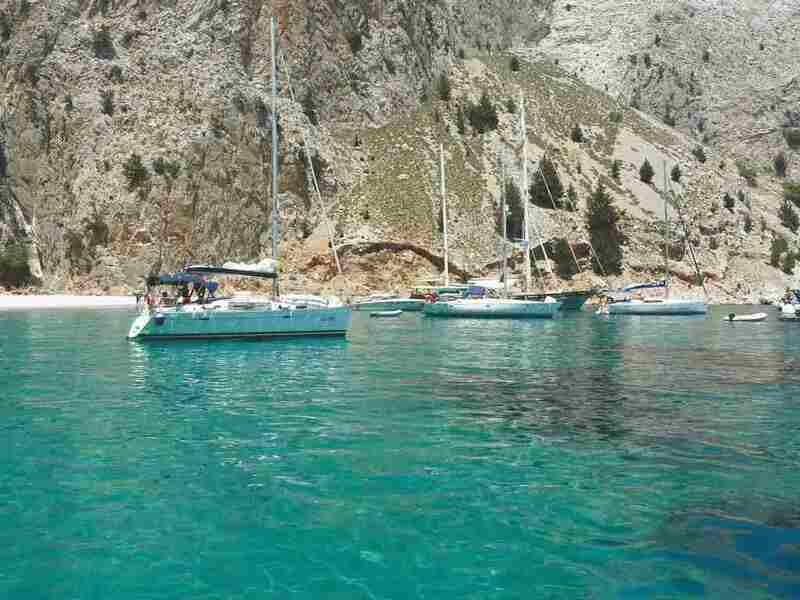 Sailing around this island, you’ll discover the spectacular cliffs and caves. We return to Koh Phi Phi Don. Mooring at Ton Sai Bay, an ideal place from which to go ashore for exploration and shopping. Day 7:After a leisurely breakfast we depart to Koh Kai Nai, a small island with a stunning white sand beach, well worth lingering for a swim, We next depart for Koh Lawa. Where can either go swimming or go hiking ashore. Enjoy a spectacular sunset over dinner. Day 8: We return to our base at Yacht Haven Marina in the morning after having breakfast on the way. 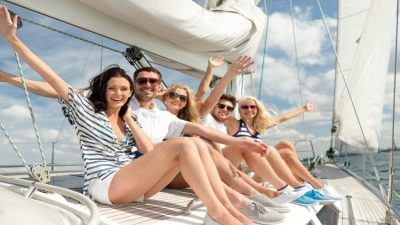 We offer options to extend your stay in a beach hotel in Phuket for up to a week or take a connecting flight to Thailand’s exciting capital Bangkok for a couple of days before your return flight to the UK With both pre and post cruise extensions you can opt to do both for the ideal combination. You can expect temperatures in the high 20’s to low 30’s c and plenty of sunshine interspersed with some short downpours of an hour or two, usually in the early evening, that soon turn back into warm dry weather. Winds are typically south westerly at this time of year and range between force 2 and maximum force 6. 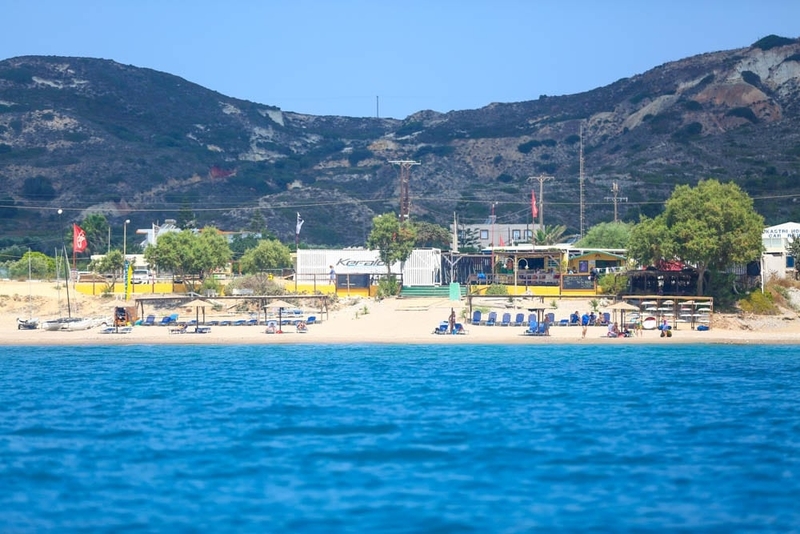 We had a great year in Nikiana last season and myself and the team are raring to get back to the club, hop on our sailing boat of choice, plane around the sailing area and finish with an ice cold glass of Mythos, Fix or many other fantastic drinks options. To add to our excitement there’s quite a lot of new things to look forward to both on and off the water. If you would like any more information on anything mentioned in this article I’ll be in the Seafarer offices for the next two weeks so feel free to call 0208 324 3118 for more information. People love the Dart 16s we currently have at the Club but there’s long been a call for something a bit faster and a bit bigger. 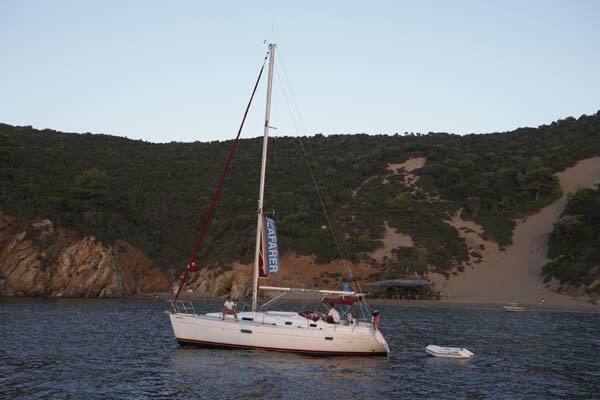 So enter stage our Hobie Pacific, an 18ft beach catamaran with twin trapeze and spinnaker. 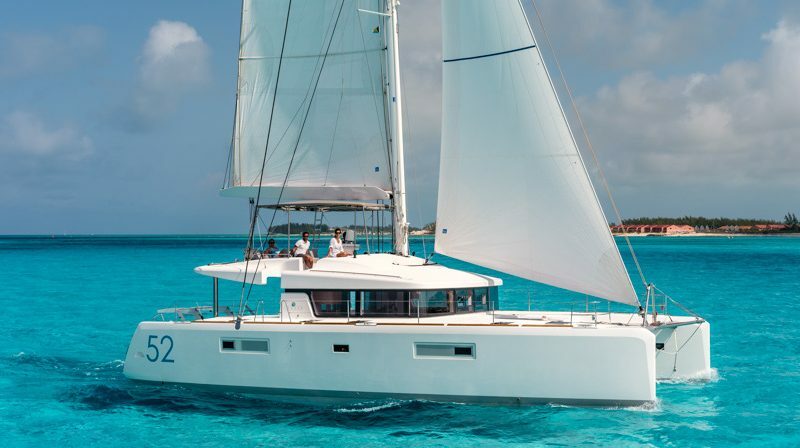 The boat is designed for 2 or 3 people and is the perfect next stage up from a Dart 16 and we’re sure it’s going to be very popular. We’ve decided to replace our Taz junior dinghies with Hartley Alphas, a small junior dinghy based on the Oppi. These stable training boats are excellent for kids aged 6 to 12 just starting on their sailing journey. Not strictly new for 2019 (we obtained one in the middle of 2018) but we now have two RS 100s at Nikiana Beach Club. These exciting singlehanders are super light, have wings for greater righting moment and an asymmetric spinnaker to power you downwind. 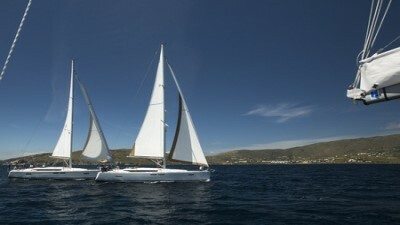 The boats are perfect for those who can sail a laser well and are looking for a little more of a challenge. 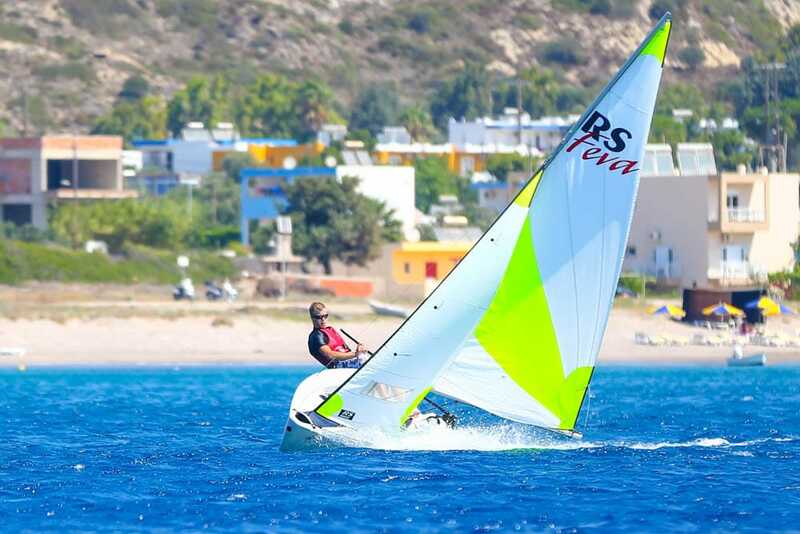 Again not strictly new for 2019 but we’ve fitted a symmetric spinnaker on one of our Bahias so we can teach these skills to anyone looking to sail a boat with one of these. Were revamping all our windsurf boards for the coming season to get the right combination for our guests. On the beginner, end were getting more Red Windsurfers, an inflatable crossover board which proved so popular last year for its soft decks, stability and good handling. 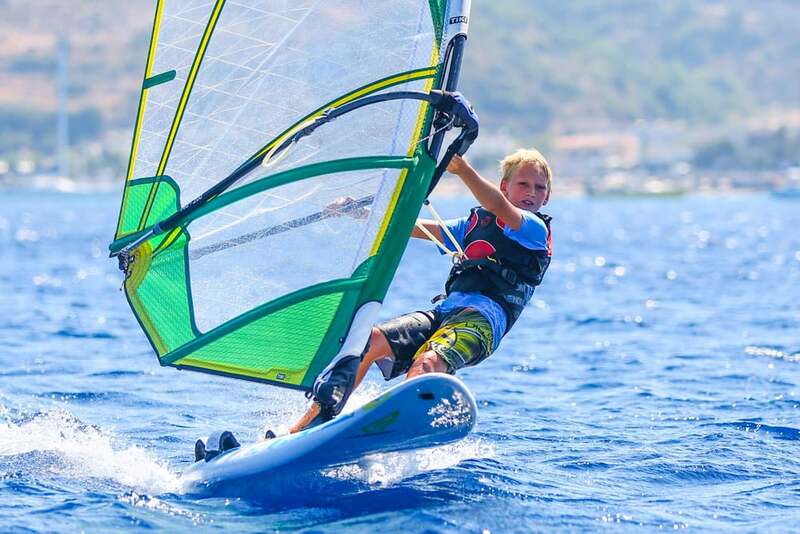 For intermediates were expanding our Bic Techno Range with 2 160L boards with optional daggerboards and a 133L board for more advanced sailors. Finally, for those advanced windsurfers we’ve added to our Starboard Futura range with a 120 and 130L. Nothing quite as exciting as above but were adding more Red Paddleboards and more kayaks to get everyone on the water. In previous years, we’ve been simply Bed & Breakfast as we felt it didn’t “lock you in” to spending every mealtime at the Club like some places might. But due to popular demand and the fact a large percentage of guests were happy to grab a bite in the taverna for just about every meal anyway, we thought we’d let you pre-book your meals! *These meals can be taken any day but Sunday and will have quite a number of options for Meat, Fish, Vegetarian and Vegan. We will always cater for dietary requirements but please let us know in advance as some products can be tricky to source in Greece. Club Board Menus are available behind the bar. 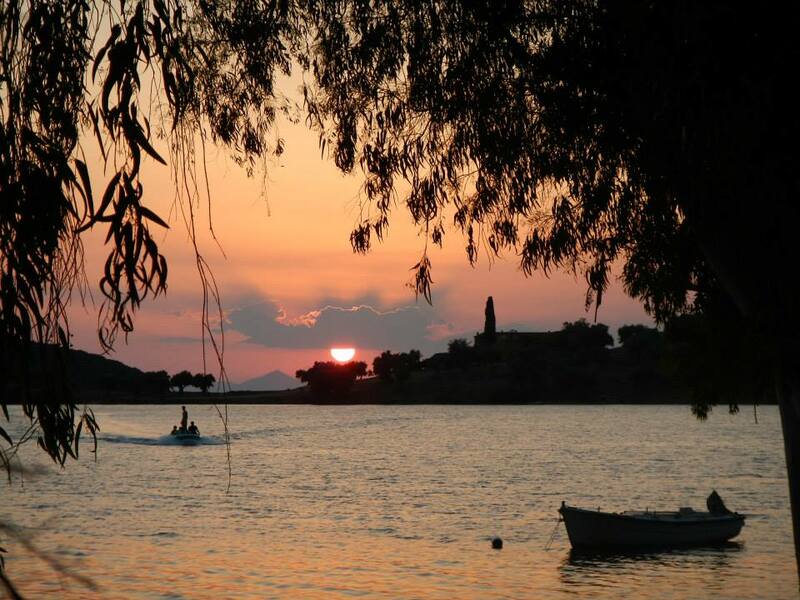 If you would rather keep it flexible, our B & B option is, of course, available and our traditional Greek taverna will have a great a la carte menu this summer. We’ve had similar social nights for the last couple of years at Nikiana and this year we thought we’d give it a bit of a shakeup. We’re not going to reveal all here but prepare yourself for fun socials, great food and that super friendly Nikiana Vibe everyone loves. 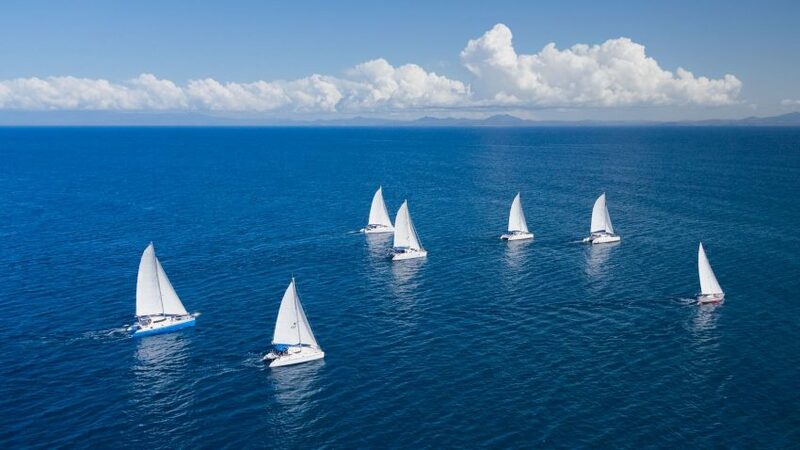 This year were going to start running the RYA Start Racing Course, a great introduction to racing for those with RYA Level 2/3 or similar abilities. 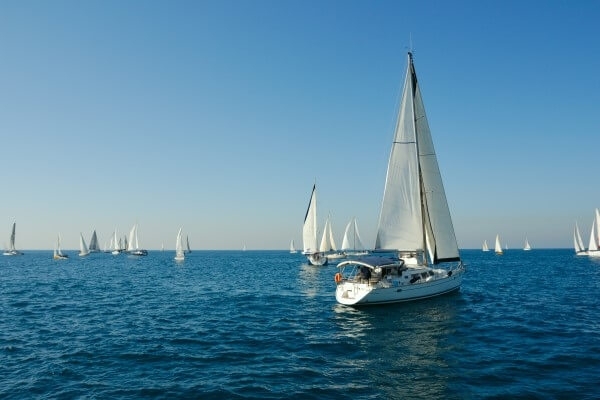 The course covers such areas such as starting, how the course works and rules along with making sure you’re making the boat go fast in a straight line and the corners. For those who are keen were running a Race Week at Nikiana Beach Club on the 1st September with 15 hours of tuition for those of different levels with a number of races at the end of the week. The seas around Nikiana offer some of the most interesting sailing in the world with Islands, Bays, Fishing Villages and Beaches all accessible by dinghy from our base. 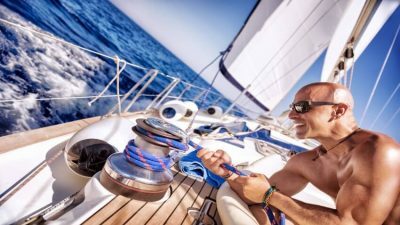 This year we will start running the RYA Daysailing course will take you out of the sailing area and teach you how to do small boat cruising including passage planning, pilotage and other skills needed in the open seas. 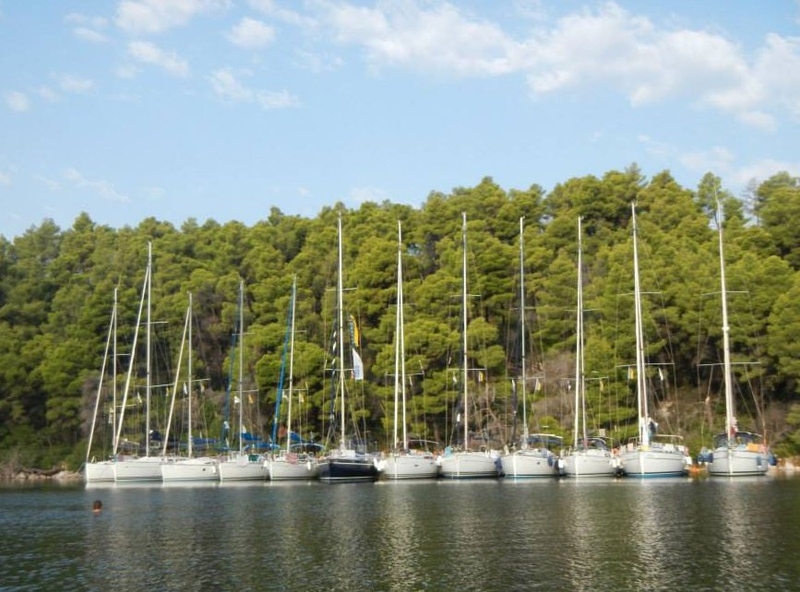 The course will include a 1 day Day Sail and can be done in Dinghies or Multihulls. Due to over a thousand years of religious disagreement on the date of Easter, in 2019 it’s celebrated a week later than in Western Europe. 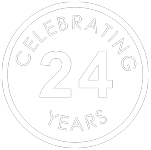 And a real celebration it is. Nikiana Beach Club is going to be opening 11 days early so you can enjoy a traditional Greek Easter feast with a fabulous view. No single supplement, evenings socials and boat matching. After the resounding success of this year’s Level Up weeks we’ve decided to run two more next summer. 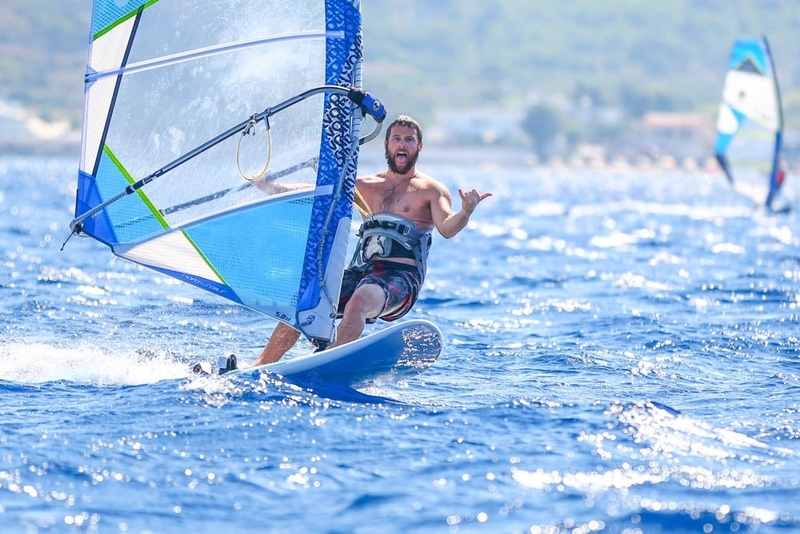 The idea is to “Level Up” your sailing skills or learn a new sport with 18 hours of free RYA Tuition in Dinghy Sailing, Windsurfing and Yachting. 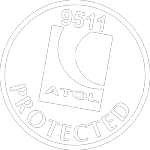 As a tour operator of long-standing Seafarer has always held an ATOL licence. However, we are delighted to inform you that Seafarer has also recently become a member of ABTA and that henceforth all Seafarer holidays will be ABTA bonded. 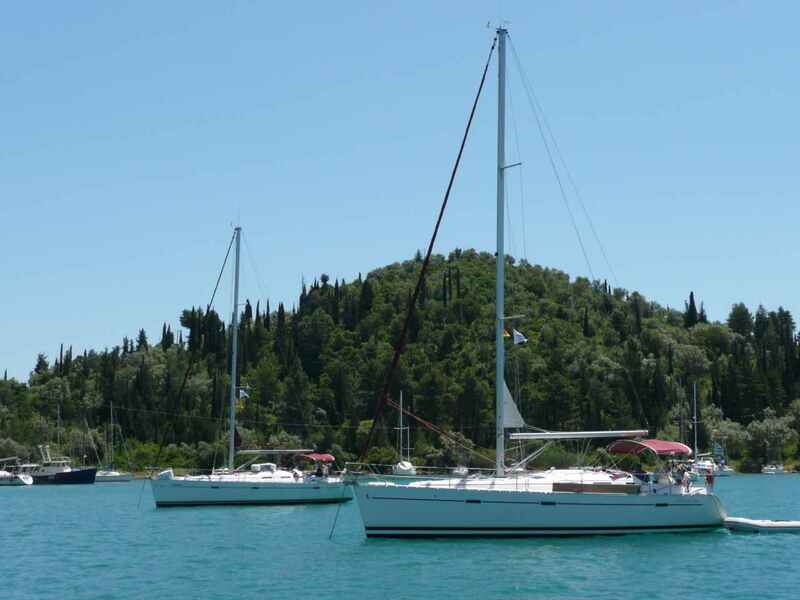 We have previously visited the Dalmatian Islands and The Lefkas Flotilla. This time around, we’re taking a trip to France. So grab your internet berets and let’s go! 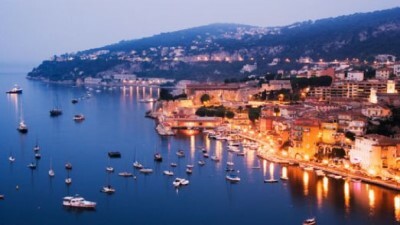 The South of France remains one of the most chic areas on the planet, so we haven’t deviated too far from last year. We liked the blend of small towns, larger towns and national parks. The Chic and the quaint. 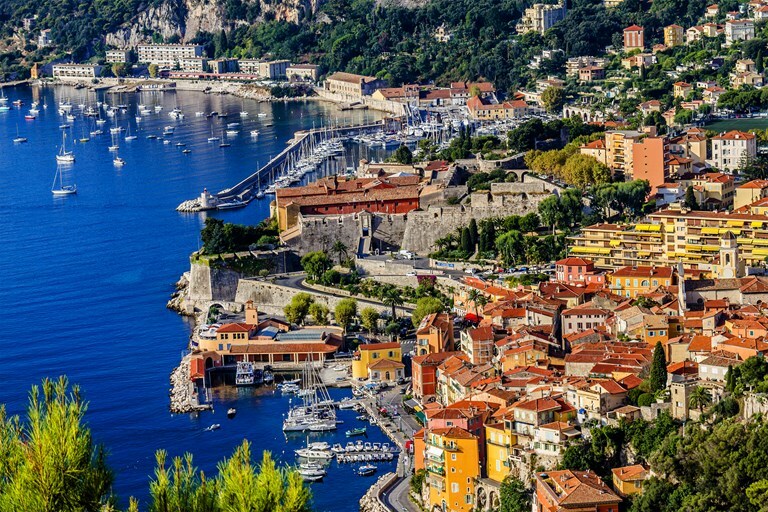 We’re in our third season in France and we are extra confident that we can name the best spots in our sailing range, particularly in regards to restaurants. The French Cuisine will never fail us. We’ve had a wonderful time devouring — err, researching, the best eateries in the land. We’ve corrected our absolute cardinal sin! 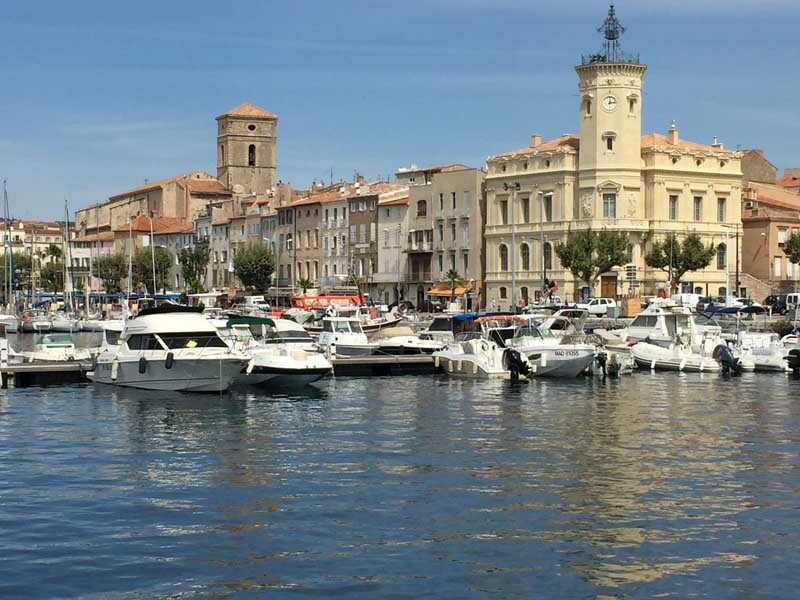 We’re ashamed to admit at Seafarer HQ that we ran a flotilla in the South of France which didn’t include Cheese or Wine. But this year we've fixed it! For those who don’t love wine, but do still want to explore on land, we can point you in the right direction of bike hire at the cycle-friendly towns and national parks we visit. 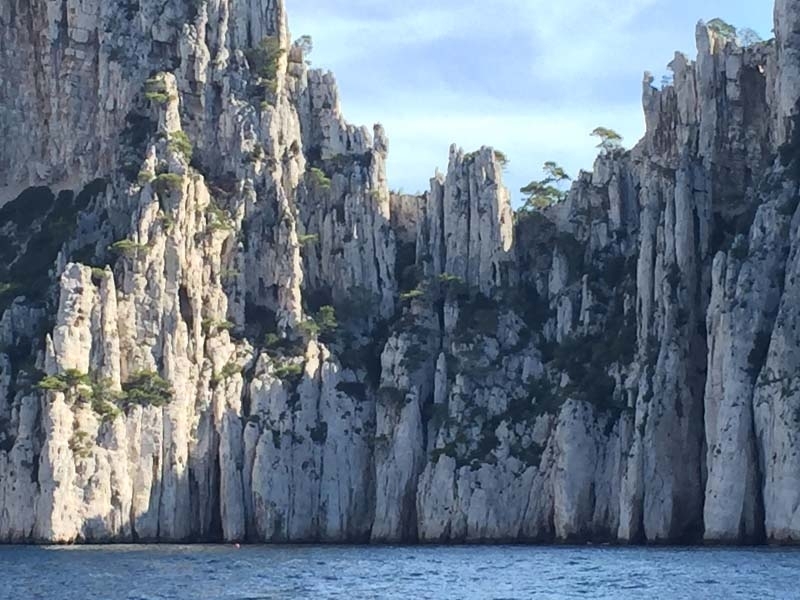 Namely, Porquerolles, part of Îles d’Hyères. An absolutely charming place. It is more than just a national park! 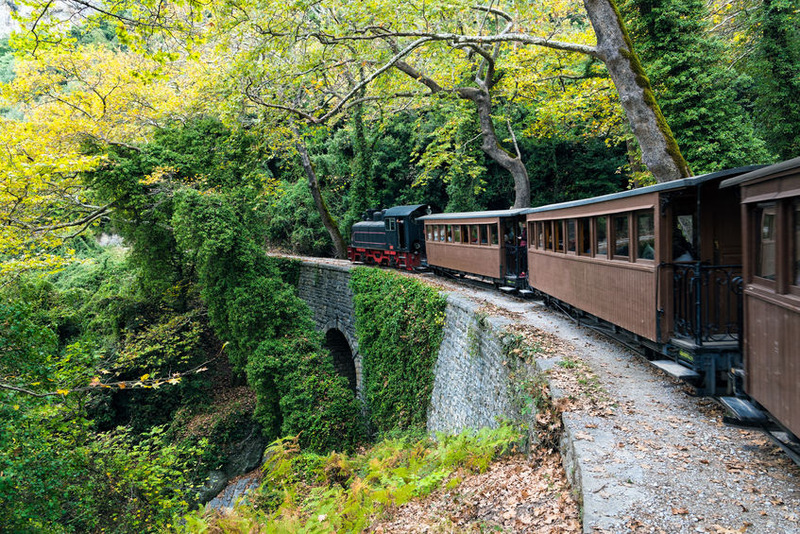 It is home to various organic farms, restaurants, stunning beaches as well as an array of biking and hiking routes. For history buffs, there is a great path where you can do a tour of all the sixteenth century forts. 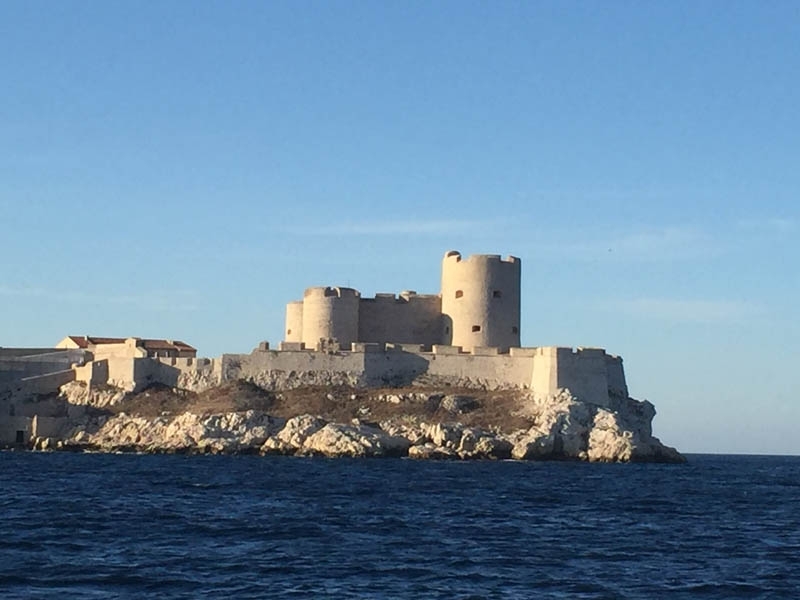 Sainte-Agathe fort, for example, houses an exhibition tracing the history of Porquerolles and actions of the National Park of Port-Cros. 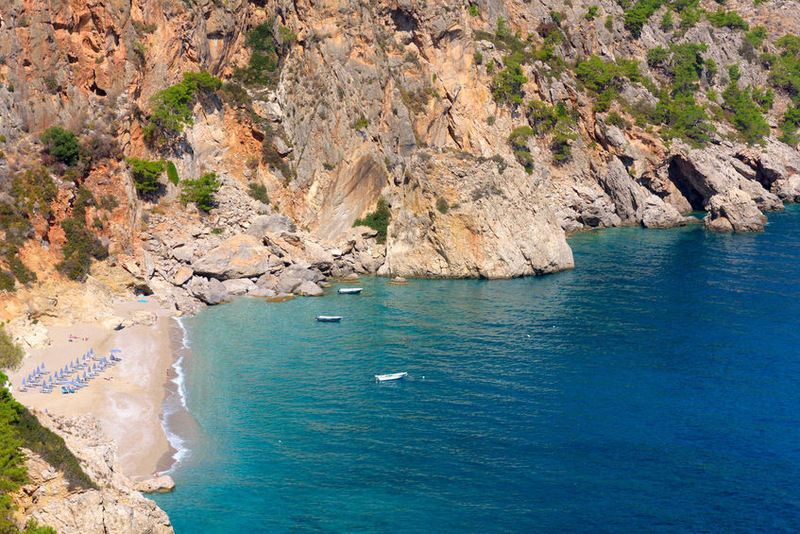 If you like a picturesque walk along the coastline, we simply have to mention Sentier du Littoral. We thinks its beauty speaks for itself. 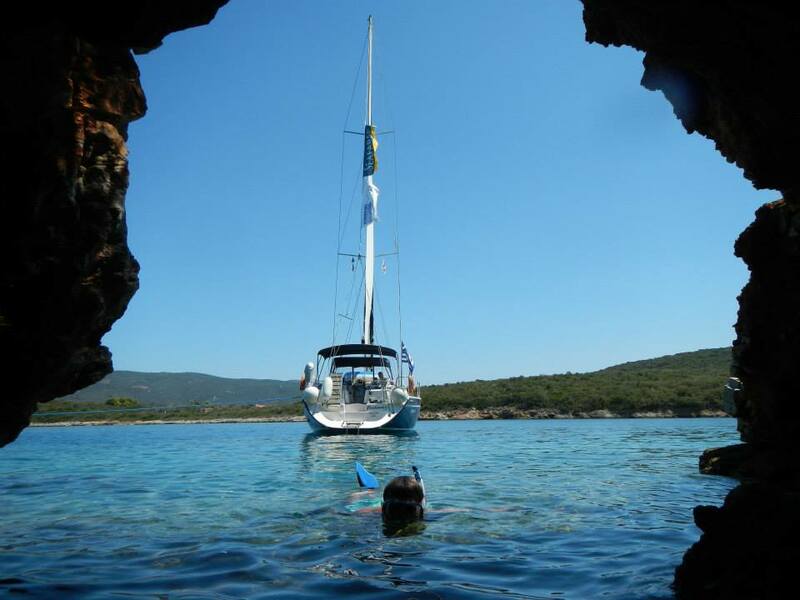 In addition to the stunning views and sea breeze, there is also the chance to take a Scuba diving trip. If this is something that interests you, let the lead crew know and they will arrange everything for you! À bientôt et Bon Voyage! 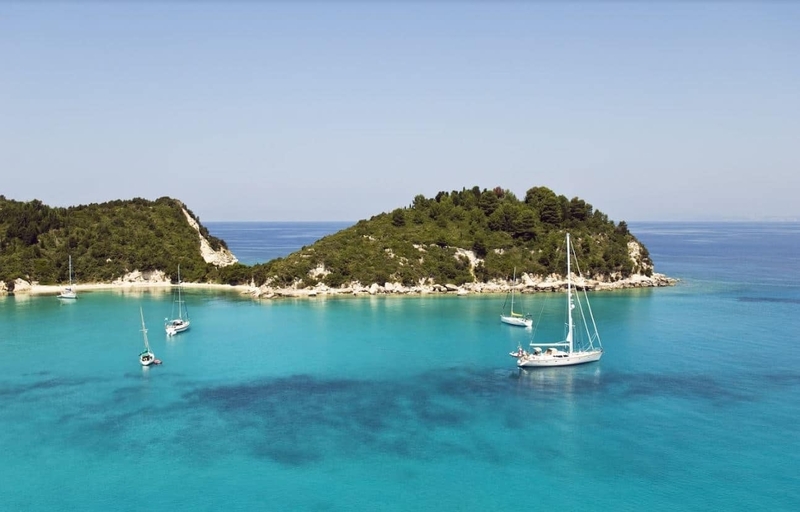 Fiskardho is our first port of call, a beautiful, cosmopolitan resort which boasts a lively waterfront, home to some of the chicest restaurants in the Ionian, as well as some great value traditional tavernas in the squares behind the front. 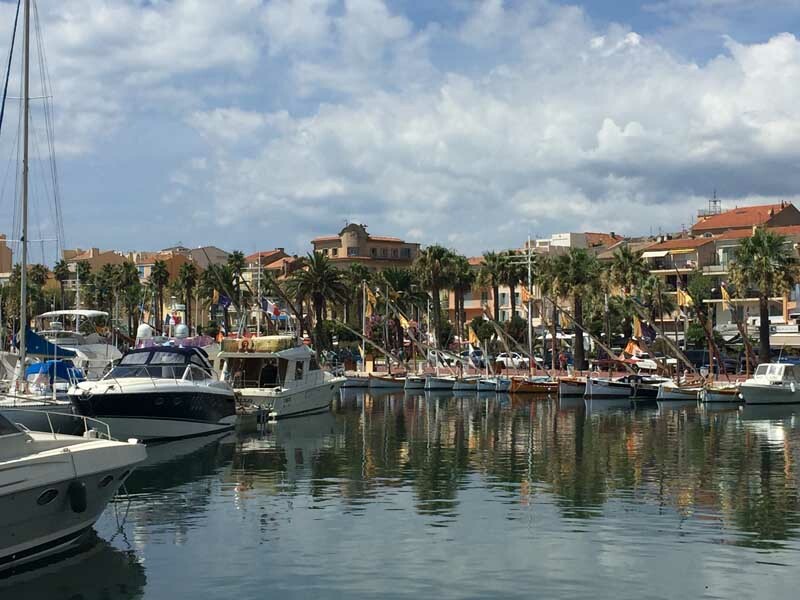 After a great stop, the route (weather permitting) explores the western side of Kefalonia, passing Assos, famous for the ruins of a 16th century Venetian castle, which presides over this small charming village. 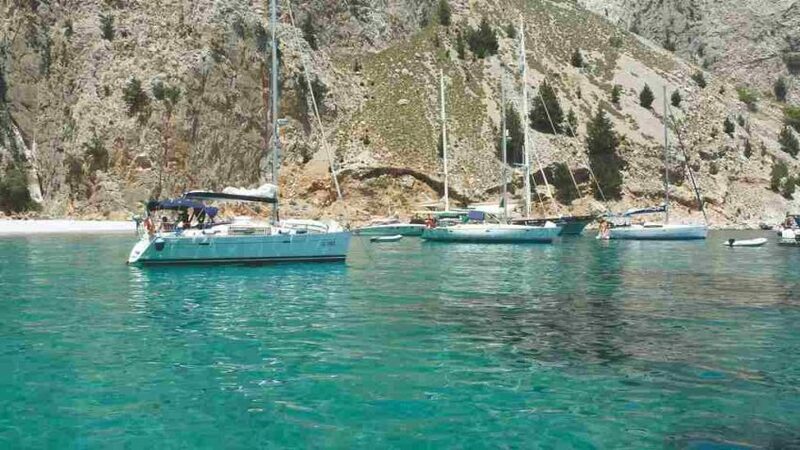 On the south side of Kefalonia is a huge bay, with the towns of Lixouri and Argostoli (the capital) located on either sheltered bank. The flotilla heads south from Aghia Eufimia, along the coast to the popular resort of Poros – great restuarants on the beach, and some natural diving boards high above the clear blue waters for the more adventurous! Then its across to the Peloponnese coast if weather permits, for an optional excursion to ancient Olympia. 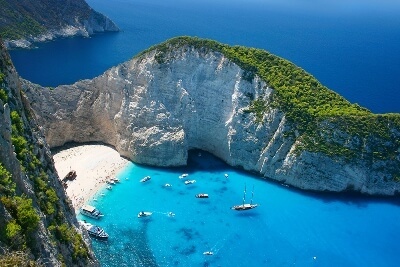 Back across the Ionian sea leads to the capital of Zante (Zakynthos) and then north to the harbour of Aghios Nikolaos, and the optional trip to shipwreck bay, one of the most iconic and most photographed beaches in Greece. 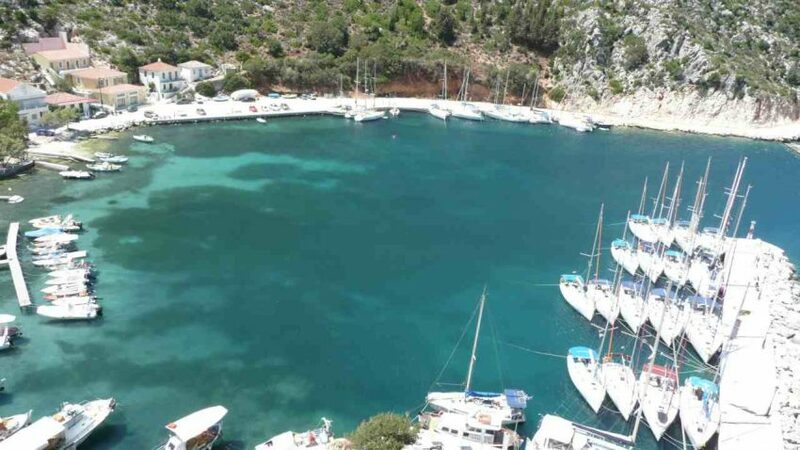 If you are travelling from the UK, there is a wide choice of flights into Kefalonia, from the major UK airports, as well as some regional flights and low cost carriers making the journey easy. 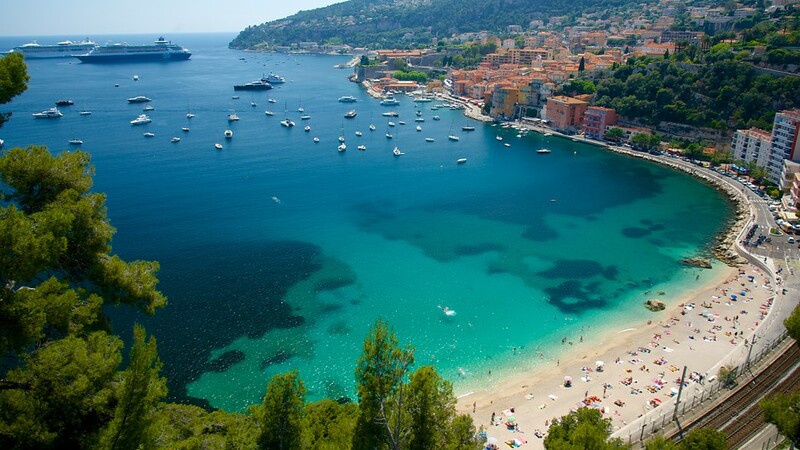 We can arrange your flights and transfers for you, or you can choose to seek these out for yourself, its up to you. 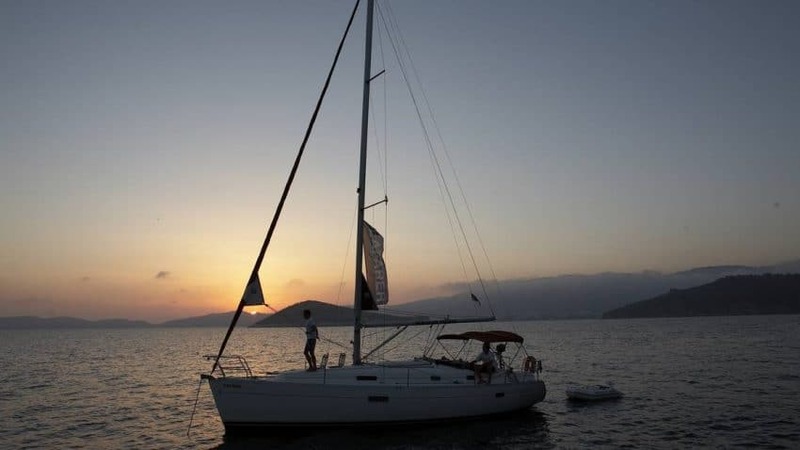 All in all, Kefalonia offers a new perspective on the Ionian, with longer sailing distances and more open water sailing if you choose, with some great new destinations and slightly less congested harbours and bays. One thing is for sure, you can always rely on the warm reception from the wonderfully friendly locals, who go out of their way to make your stay a special one. If you would like more information, you can always give us a call – many of our sales consultants know the area very well indeed. 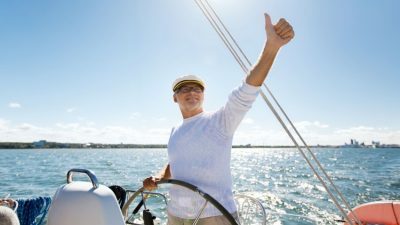 As a person who drives a desk for much of the year, I know only too well after months off the water, the sheer terror of taking the helm of a £200,000 yacht in a crowded marina in a 20 knot crosswind with the gelcoat and your reputation (…to say nothing of the safety of your trusting crew) very much on the line. 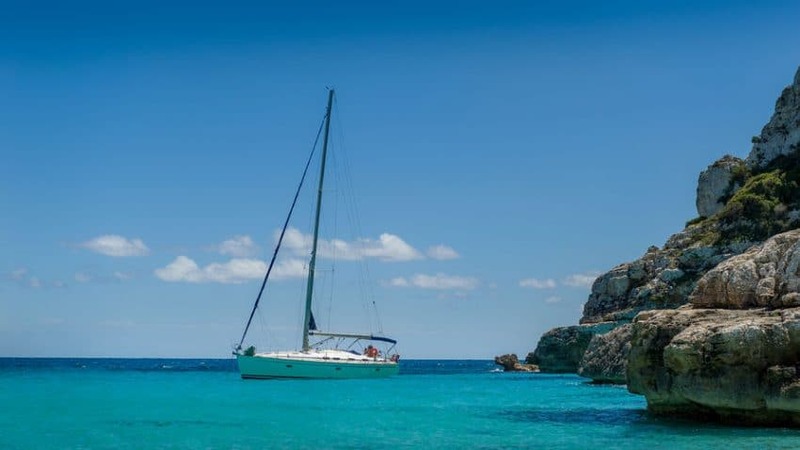 Despite a true love for sailing, daily pressures and commitments mean that in the real world, many of us just don’t get anything like enough sailing and for too many of us, the first couple of days of our sailing holiday are spent re-gaining our confidence and re-discovering the secret art of Mediterranean mooring. 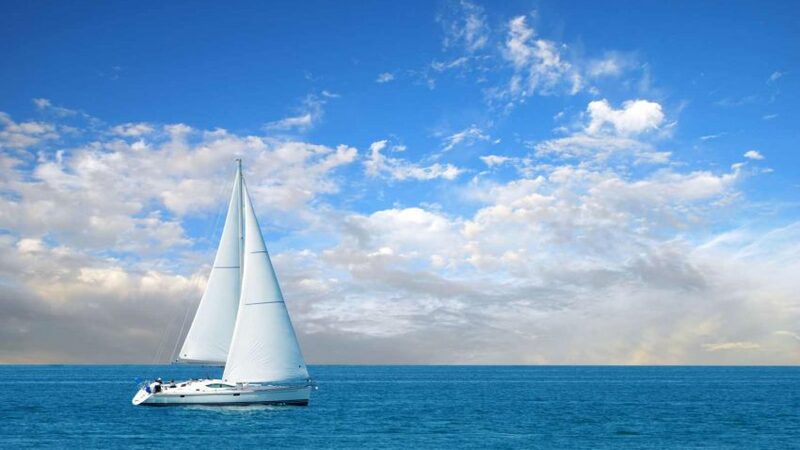 But do not despair loyal Seafarers, we at Seafarer world HQ have the perfect solution. 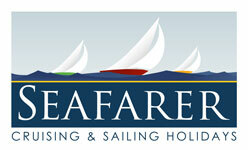 In response to popular demand, Seafarer Training UK makes its debut in April. Based in the Solent, we will be offering our clients the opportunity to join us for weekend refresher courses throughout the summer. Bookable by the cabin or on a full yacht basis, our weekend package with one of our experienced RYA qualified instructors will focus on practicing yacht handling in a variety of situations, as well as brushing up on sail trim, practical navigation techniques and generally helping you to progress your knowledge and experience to the next level. 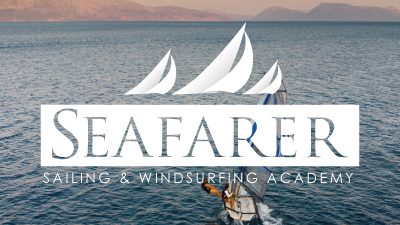 These refresher courses will follow a more flexible syllabus to those in specific RYA courses, given the varying needs of our clients. 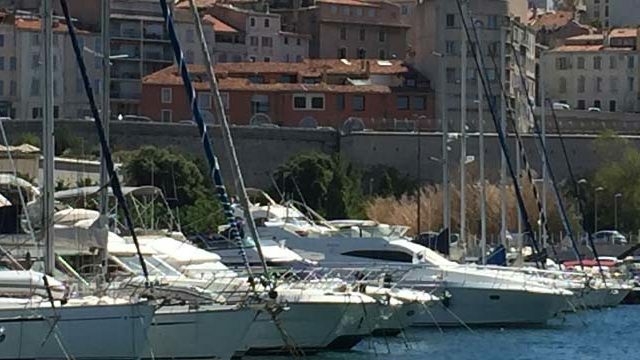 For those that have the experience but lack an official qualification, there will also be the opportunity to complete an ICC test, which is now a minimum requirement as skipper, to be able to charter anywhere in the Med. 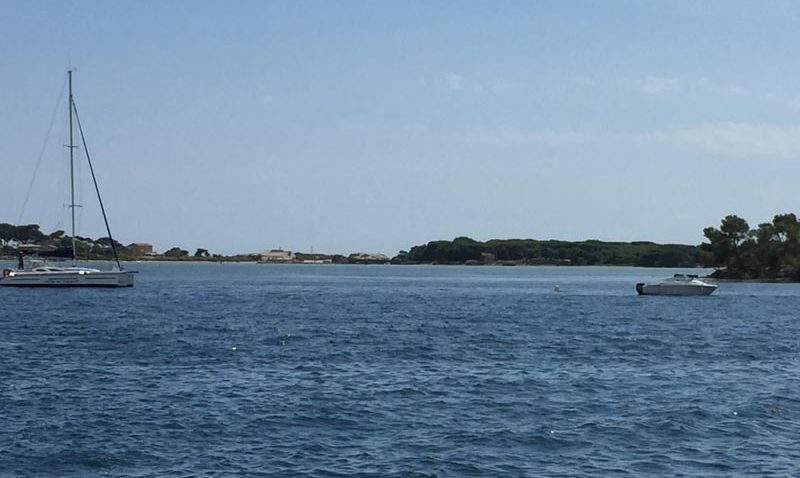 For those that did their training in the non-tidal Mediterranean, this can also be the ideal opportunity to gain your tidal ‘stripes’ though the formal distinction has now been abolished. Our main training yacht in the UK is a recent model 3 cabin Bavaria 36, equipped with radar and heating (this is the UK, let’s not forget) as well as full instrumentation. Our weekend itineraries will include visits to places like Poole, Weymouth, Cowes on the Isle of Wight and Chichester. Guests will be able to join on Friday evening or first thing Saturday morning and we finish late afternoon on Sunday. 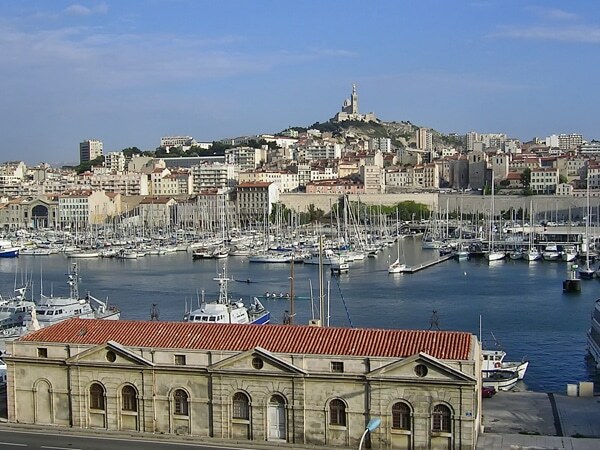 We will shortly also be releasing details of a full range of RYA courses from Competent Crew and Day skipper upwards as well as mile builder voyages across the channel to Normandy, Brittany and the Channel Islands. These will generally run Monday to Friday. 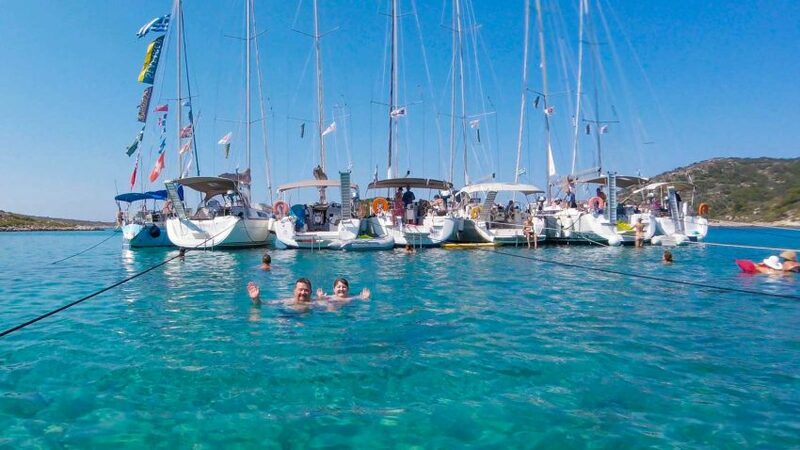 Last but not least, in these times of the popular ‘Staycation’ we will also be very shortly announcing dates for our ‘pop up UK flotillas available to charterers and private owners as well as being bookable by the cabin on the lead yacht. 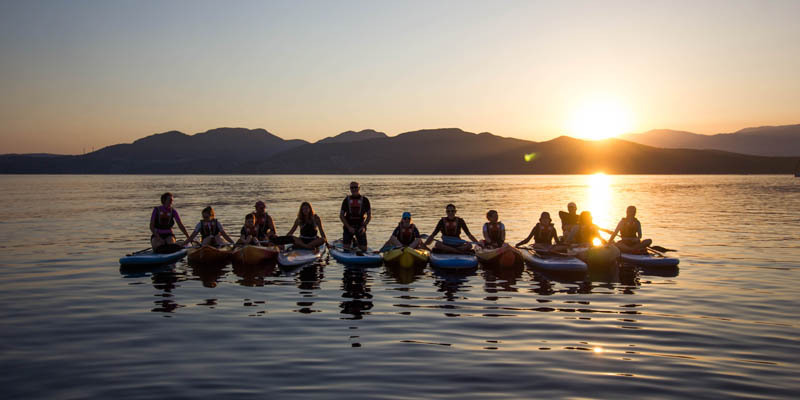 We are all really excited about all of this here in the office and it will be a great excuse to escape and refresh our own skills, so we look to forward to meeting some of you on the water this summer. 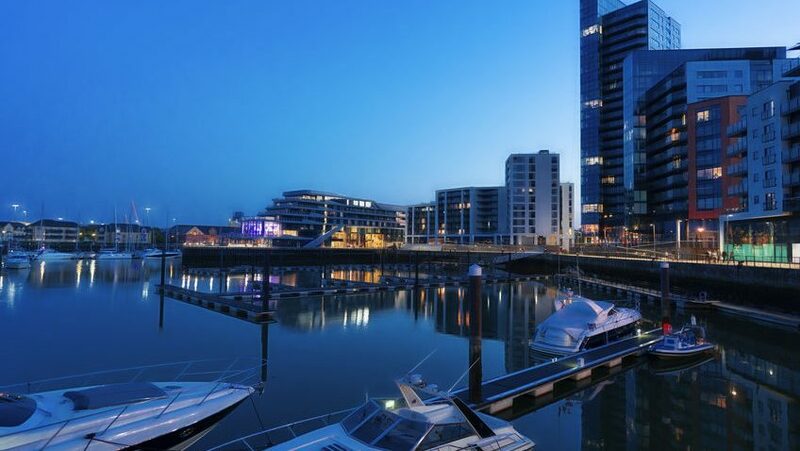 Marina parking in Southampton available on request (charges apply). 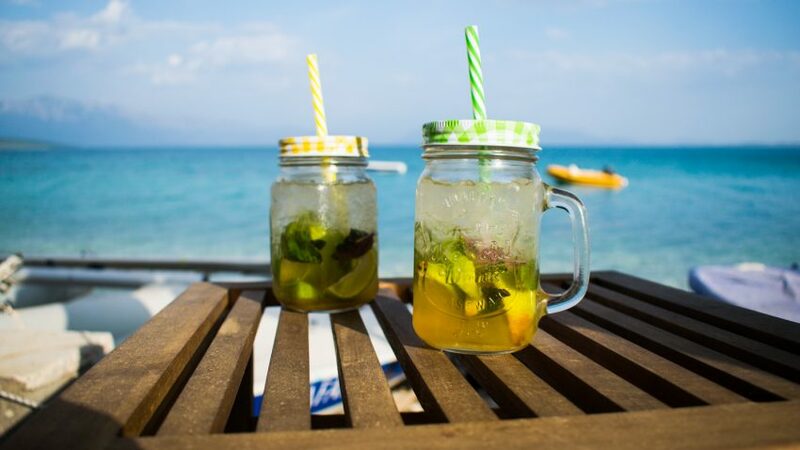 New at the Beach Club! 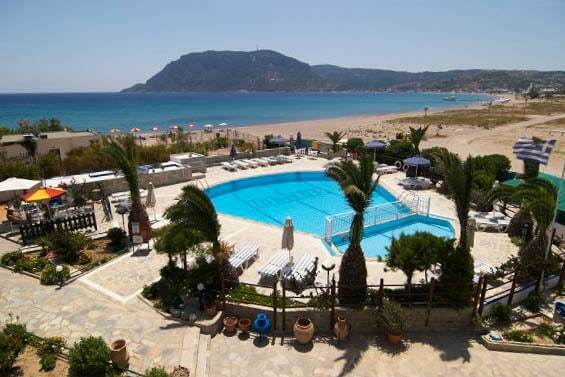 We’ve decided to add a Club Board option at Nikiana Beach Club this summer. 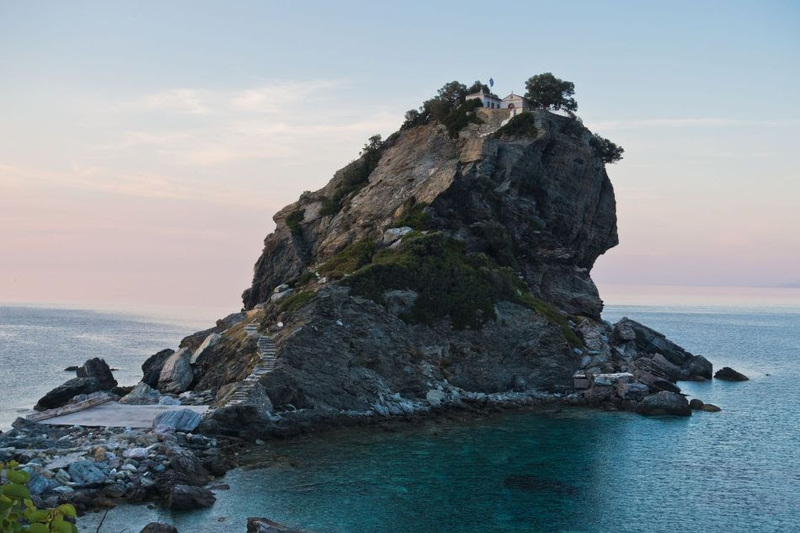 This time around, we’re going to talk you through the best Lefkas has to offer. But we want a perfect five! 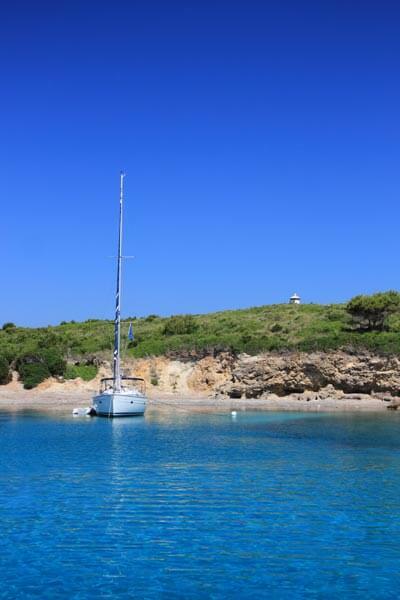 We’ve been in the Ionian a long time and we know all the bays, tavernas, nooks, crannies, swim stops and photo stops. But as perfectionists, we keep striving! Since we’re fairly confident we’ve got the sailing down to a tee, our main priority this year has been adding to the land-based activities. We’re also going greener! We always tried to be clean and green as we are sailors and like to respect our surroundings, but this year we’ve decided to raise our game and be more eco-friendly. We’re eliminating plastic bags and plastic water bottles wherever we can. We’re using only eco-friendly soaps and washing up liquids. We’re adding catchers to fuel breather valves on our yachts to stop diesel dropping in the water during refuelling and much more! 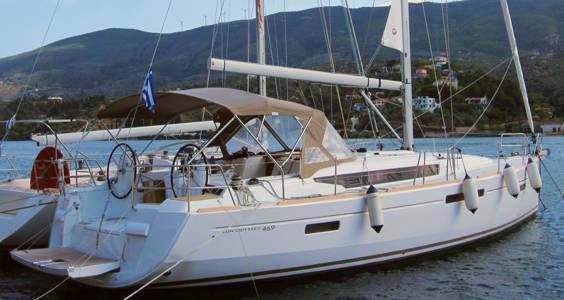 Our yachts have also received attention with another 2-Cabin Sun Odyssey and a new Bavaria 46 joining the fleet. We’ve also added solar panels to our fleet, which with our superior levels of instrumentation and amenities means we continue to have the best-equipped flotilla fleet in the Ionian. in May and June, with more discounts all through high season and the school holidays including special family deals!